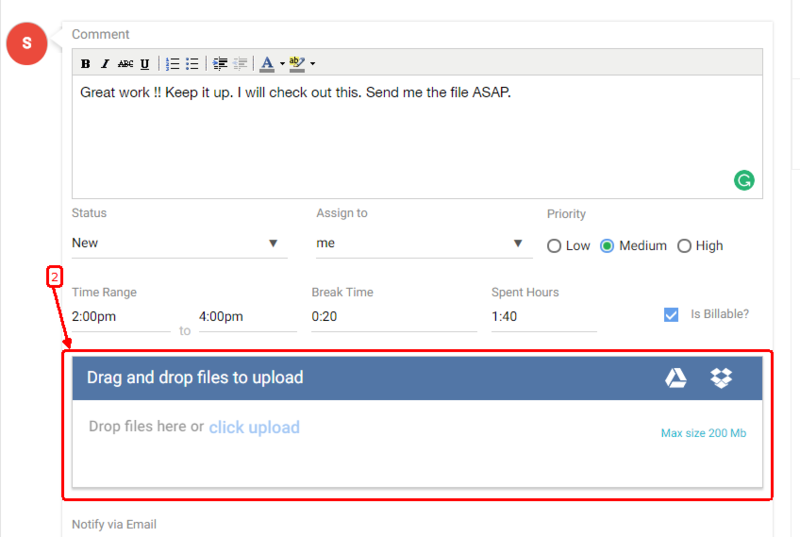 Home Task Management How to view Task details and reply on a task? 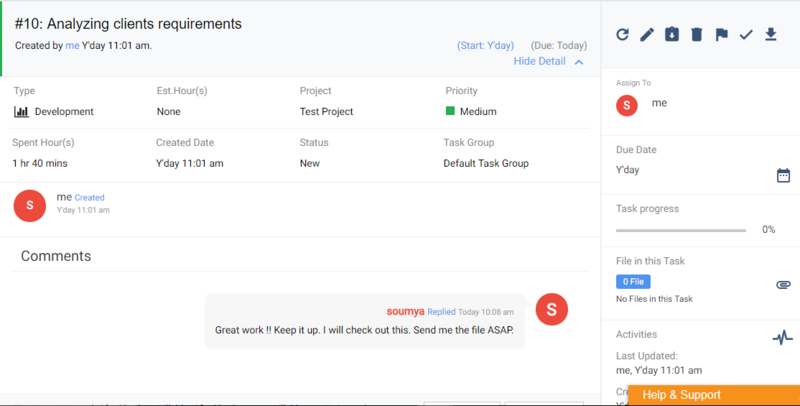 How to view Task details and reply on a task? Please click on a task to view the details. 1.Here you can view and edit task type, estimated hours, priority, spent hours, status and task group. Once all details have been entered, you can click on Post Comment. You can see the comment has been posted in the comment section of the task detail page.